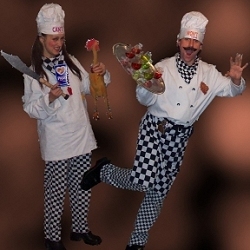 "Entertainment for family and childrens events"
If you're organising a family or children's event anywhere across the South of England, the Midlands, the Westcountry or Wales you'll find Allin (GIZMO) and Pamela have a lot to offer you. With well over 5000 events to their name including community fetes, carnivals and fundays for town and district councils across the country, the 2012 Olympics, the Radio 2 festival in Hyde Park, corporate events for some of the U.K.'s best known companies plus corporate events and promotions of all kinds, they are experienced, multiskilled and hugely popular performers. Find out more about our BALLOON MODELLERS. 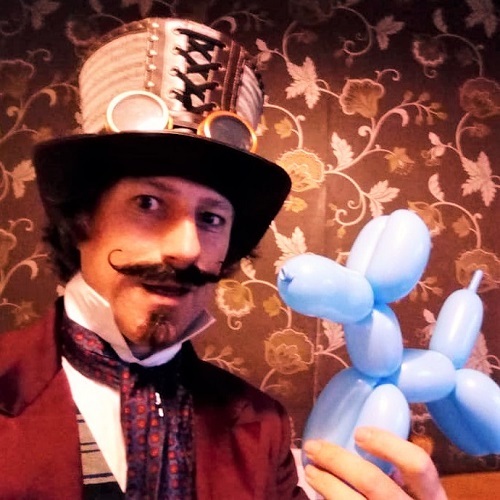 If you've a large area to fill and want interactive, visual and crowd-pleasing wandering entertainment, you can't do much better than getting a good balloon modeller or two. 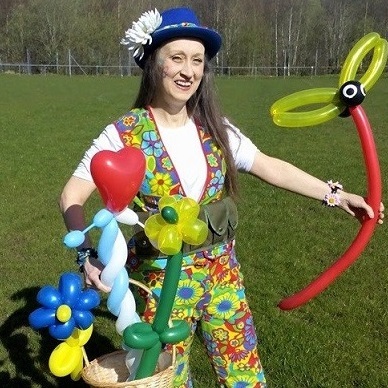 We've entertained the crowds with our balloon models at events big and small, from small open days and village fairs all the way up to some of the biggest festivals and tourist attractions in the country. 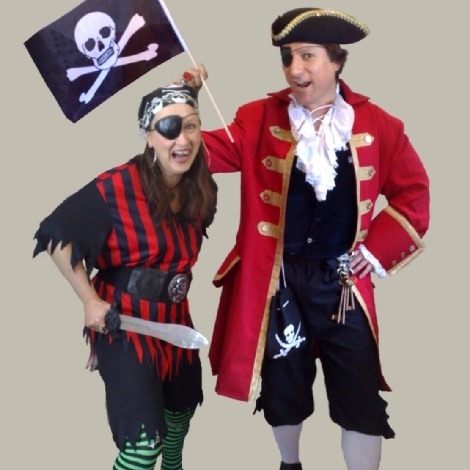 Plus, with our extensive wardrobe of costumes, we can dress to fit pretty much any theme you can come up with. 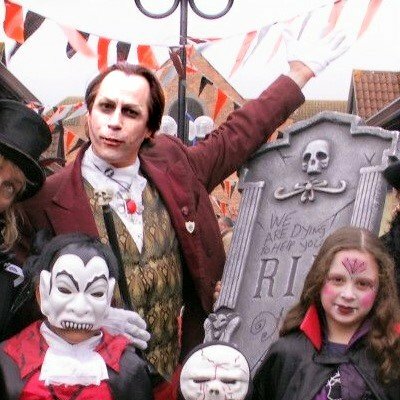 Whether a Summer Fair, Medieval Festival, Pet Show, Garden Centre, Pirate event, Sci Fi, Circus or of course general family or children's entertainment we've just the look to fit right in and stand right out! 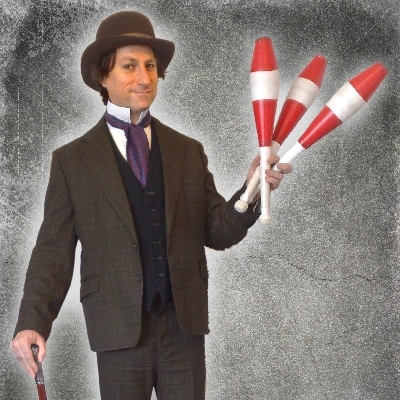 This lively and exciting character entertainer, resplendant in his eye catching Victorian style, is a multi-skilled juggler, magician and balloon modeller, plus a very, very funny guy! 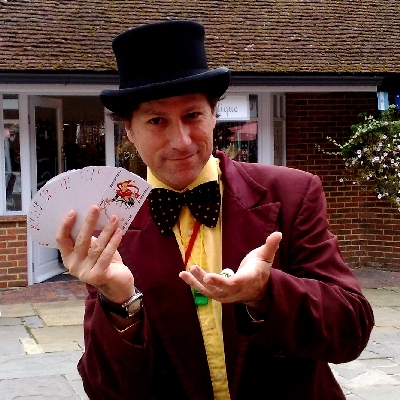 An eye-catching entertainer who will wander around your event performing spontanious mini-shows and one-on-one entertainment. 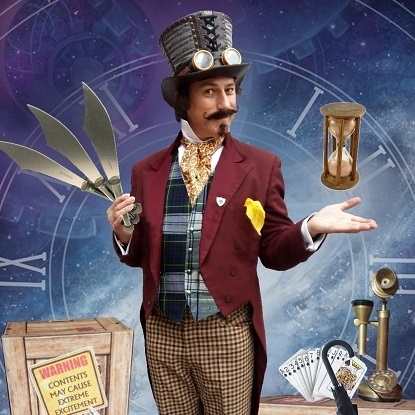 Lively, colourful and exciting, Professor Strange performs his Strange Magic Show, a fast moving and highly involving magic and circus one-man show adaptable to fit any size stage and pretty much any environmant, from a field, to a car park, a school, a theatre or a large Holiday Park main entertainment venue. 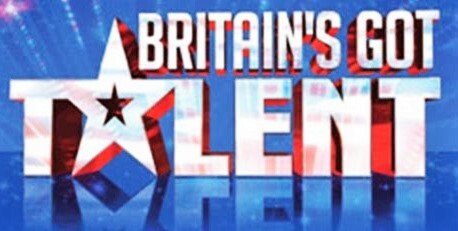 Use him as your event compere, or for stage spots of 10 minutes up to his full lively 45 minute show. Find out more about our CIRCUS SKILLS PARTIES AND WORKSHOPS. Children love to get hands on and involved. With a wide range of circus equipment from hulahoops and juggling to skipping ropes and stilts there's something here for everyone to have active and creative fun. 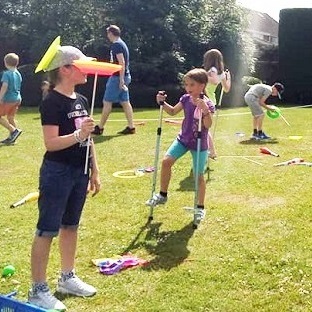 As well as all the equipment we provide one or two circus skills leaders who rope off an area with colourful bunting to keep the circus skills area contained and create a fun and involving yet carefully supervised attraction within your event. Plus of course we can also perform circus shows. Shows AND a hands on attraction. Now that's great value for money for your event! 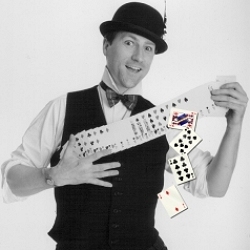 Award winning family magician Allin Kempthorne is incredibly entertaining. 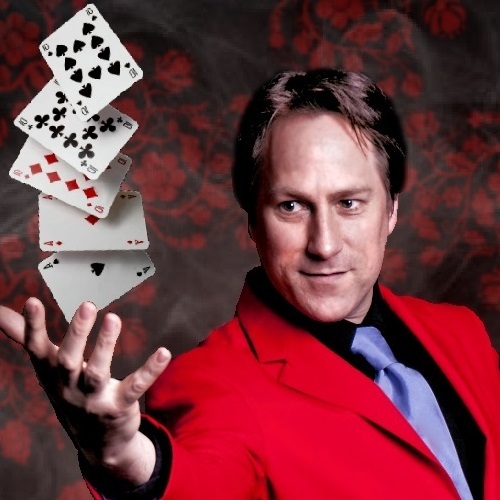 His amazing magicians skills, slick showmanship, boundless energy and infectious sense of fun all combine to make him one of the most sought after family magicians in the country. 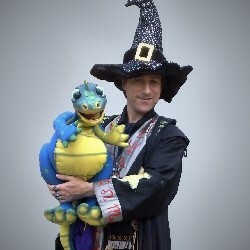 He's equally at home performing his jaw dropping magic for children, families or adults and is available in a number of looks and guises to fit perfectly into your own event. 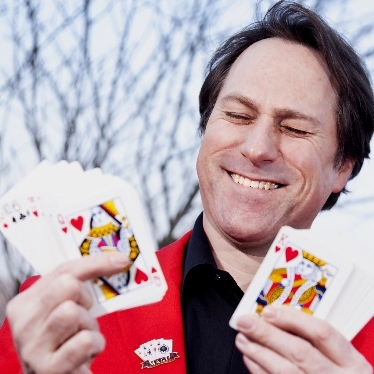 Trained at the prestigious School of Magic and Mystery in Las Vegas he really is a man to add that special touch of magic to your event. 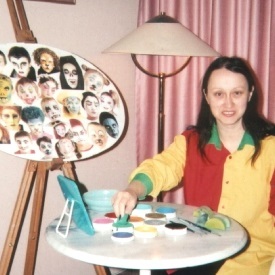 Find out more about our FACE PAINTER. 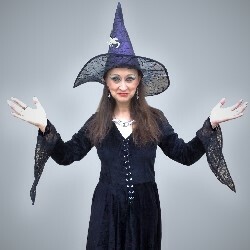 Pamela transforms your guests into animals, fairies, monsters, princesses, pirates, national flags, butterflies or whatever their hearts desire. Her creations are high on fun, colour and glitter and are ideal for children and the young at heart. Pamela's face painting is a hit at festivals, fetes, shopping centres and community events, wherever there are a large number of children or fun loving adults! Find out more about our DINOSAURS. Our dinosaur safari guide, his super-cute puppet baby dinosaur and our terrifyingly terrific seven foot tall walking inflatable velicoraptor are ready to make your event totally dino-tastic! 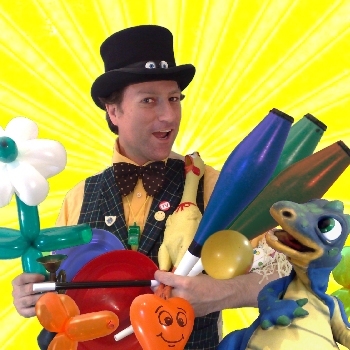 Walkabout entertainment and spontanious mini-shows with magic, juggling and balloon modelling from this captivating, charismatic and highly entertaining children's and family entertainer. 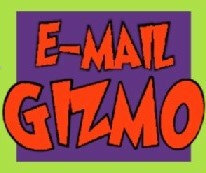 GIZMO's Marvelous Magic Show is a thrilling and hilarious interactive magic show for children of all ages. 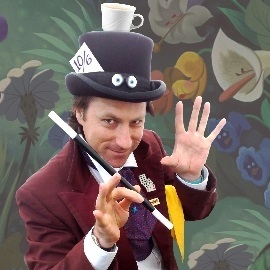 Breath-taking magic, skillfull balloon modelling, funny puppet routines and thrilling circus tricks are all performed with the energetic, entertaining and engaging manner that has won a whole host of performance awards and sees GIZMO booked and rebooked at venues time and time again. 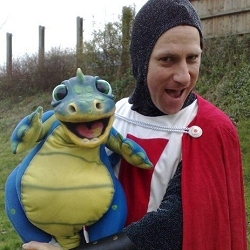 We offer a large amount themed interactive characters, so if your event has a theme we can bring it to crazy colourful life, populating your event with characters that fit right in - and stand right out! 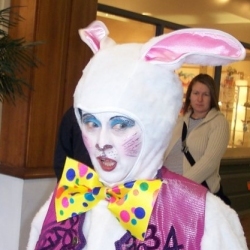 We can offer balloon modelling, magic, juggling, facepainting and walkabout character entertainers to suit themes including Pirates, Dinosaurs, Alice in Wonderland, Witches and Wizards, Olde England, Victorian, Medieval, Nautical, Circus, Magic, Halloween, Christmas, Food, Animals and oh, so much more. 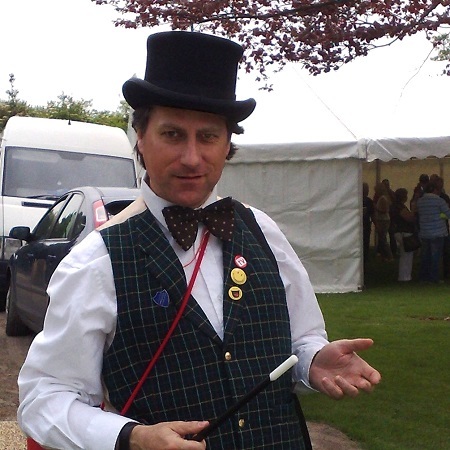 Fancy a juggler roaming around your event, impressing everyone with spontanious juggling shows and feats of manual dexterity? 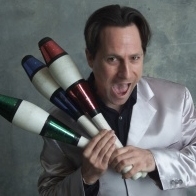 Allin Kempthorne (Gizmo) is a circus school trained juggler with a quick wit and a highly involving performance style that's loved by adults and children alike. He has costumes for any occasion, so whetjer you're after Las Vegas sparkle of Garden Party casual he'll dress to match your event's mood and character. Tell us about your event including where it will be, what date and what hours it'll be running. Then we'll get right back to you with some suggestions and prices.